Take the Action Kit including a stencil of Makea to mark your creations and 5 stickers of El-Recetario.net + Thank you in the platform. Bring the POCKET / PATCH of El-Recetario.net, it's embroidered and handmade with reused fabrics. Sew it yourself! + Thank you in the platform. We send you the collection of the printed catalogues of four editions of the REHOGAR Collective Exhibition (2010-2013) with more than 350 recipes! + DIY Patch / Pocket + Thank you in the platform. Get ready to go over the streets searching your treasures! Take a handmade Collector Tote-Bag made with reused big-bags. All of them are different! + Action Kit + Thank you in the platform. Take the Collector Tote-Bag + DIY Patch / Pocket + Action Kit + Thank you in the platform. A member of Makea Tu Vida will make a presentation of the platform El-Recetario.net, explaining its features, history, versions and use according to your sector. If you have an idea, get in touch with us and we will fit the presentation to your needs. (It will be necessary to add travel and subsistence allowance expenses for locations out of Barcelona or Valencia). 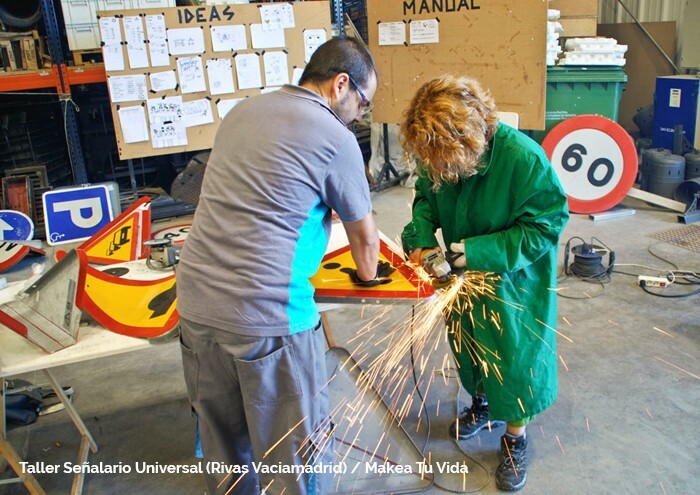 We will develop a for you a 8 hours workshop coordinated by a member of Makea Tu Vida. 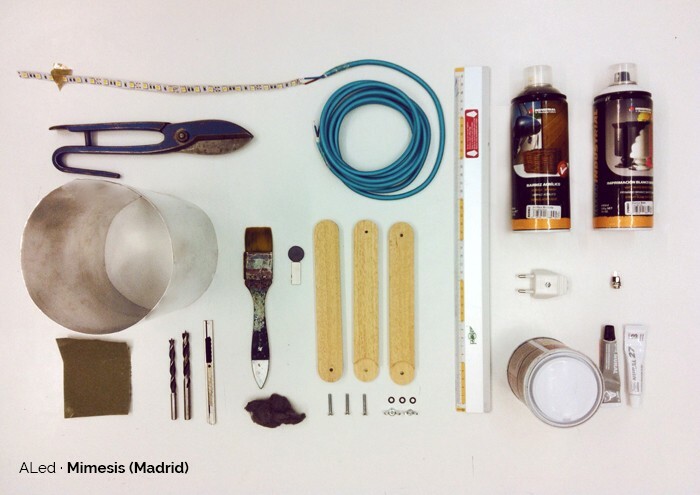 A workshop for the learning and use of Open Design and Upcycling methodologies through the analysis and the experimentation with the El-Recetario.net platform. If you have an idea, get in touch with us and we will fit the workshop to your needs. (It will be necessary to add travel and subsistence allowance expenses for locations out of Barcelona or Valencia). Two thousand of thanks for believing in this project! You will appear in the front page of the platform El-Recetario.net as Official Collaborator for one year. Certainly you will also take the Makeador Kit that includes the Collector Tote-Bag + DIY Patch / Pocket + Action Kit + Thank you in the platform. 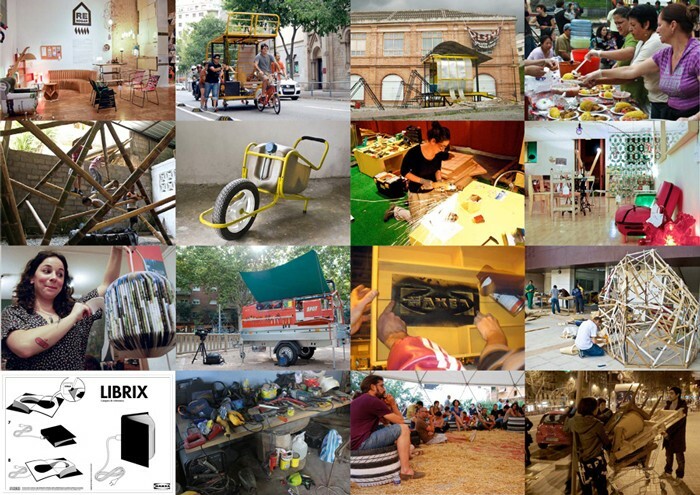 Collaborative platform of research and learning in the field of Open Design, Upcycling and self-assembly. Update to the latest version of Wordpress, improve platform security, integration and adaptation of Buddypress components. Development and migration of data to a new template. Redesign of navigability, accessibility and graphic aspects of the public interface (front end) and user management (back end). Reorganization, browsing and content filter: In order for the platform to function effectively, the resources need to be easily located. New content categories and tags will be created to allow users to find resources more easily. The platform's visual structure will be modified in order to facilitate access to information; incorporation of shortcuts, new filters and temporary featured sections. The community will be developed on social networks, where each user (with an extended profile) will be able to communicate with other members via an internal messaging system and establish “friendships” with other members in order to follow their activity. A comment system will be set up, as well as tools for evaluating the platform's contents (recipes). More personalized recipe management options for users. Revision, improvement and expansion of recipe classification: ingredients, tools, object typology, construction techniques, activities. New recipe assessment system: Done it! Remixed it! Favorite! Shared it! Completing the new version isn't the only important thing, we also have to make people aware of it! 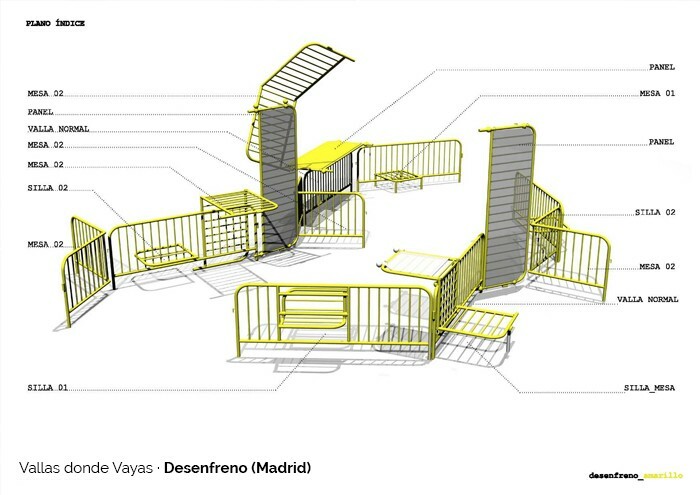 This area will be dedicated to creating graphic communication material, writing articles, contacting other collectives and groups in order to promote new collaborations, as well as promoting the crowdfunding campaign. A pack of 30 initial hours for the person in charge of servicing and technical support for our user community. 4% basic commission for services rendered by Goteo and an average of 2% for monetary transactions, whether they be via Point of Sale or Paypal. In the case that we achieve our optimum financing target, Goteo will receive an extra 4% by means of commission for services rendered and an average of 2% for monetary transactions, whether they be via Point of Sale or Paypal. A pack of 100 hours to employ a person dedicated to manage and feed the social networks and to dinamize the platform through complementary actions in the physical space. A pack of 30 additional hours for the person in charge of servicing and technical support for our user community. Introduce a geo-localization tool which will allow users to search for and contact other platform members in their area. Modification of the platform to include several language options. To begin with, users will be able to upload content in Spanish and English. 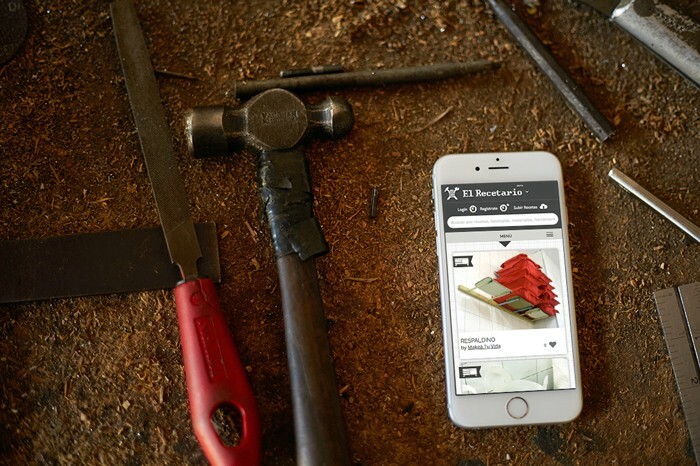 Implement a new tool which allows users who also design their own products to interchange or sell their physical objects, by means of a sustainable economic model, to other designers and producers. Design and production of individual rewards. 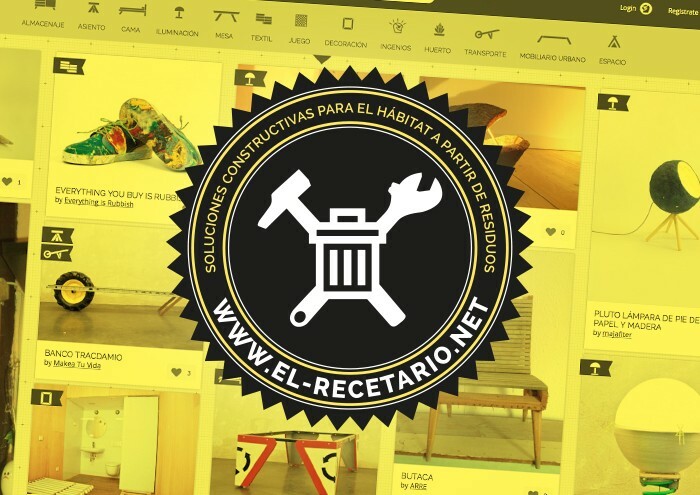 El-Recetario.net is an open-access repository made up of how to “recipes” for the construction of objects, furniture, spaces and systems using upcycled and discarded materials. Each recipe contains step-by-step instructions and gives detailed descriptions of the “ingredients” and tools needed, as well as of the knowledge and techniques necessary for the object's construction. 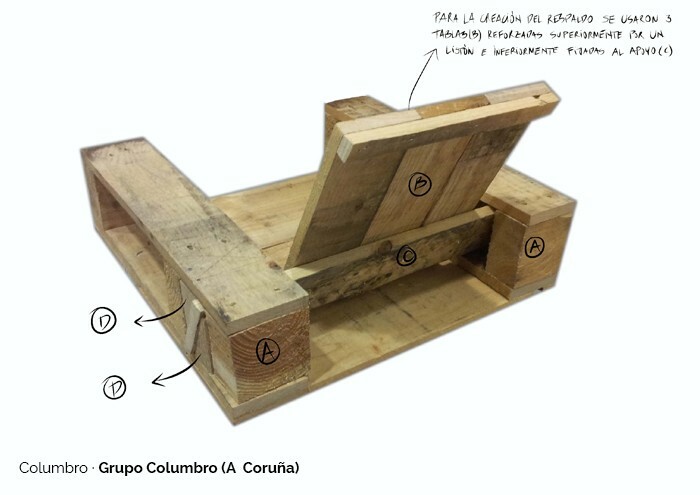 When an item of furniture's "source code" is uploaded onto the El-Recetario.net platform, construction processes are opened up and in turn, the know-how and techniques relative to the recuperation of raw materials and the object's construction, which is the main immaterial cultural heritage sustaining the platform. In the majority of cases, construction involves artisan processes and manual production, always with detailed instructions, enabling the user to create new objects from discarded goods (resources). 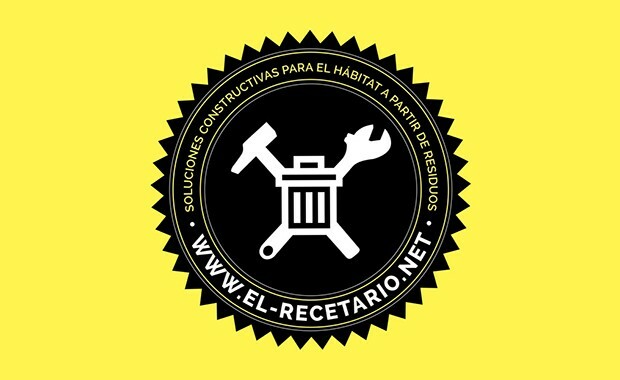 El-Recetario.net currently has a community of 680 members and 450 recipes and is a national and international reference in the field of Open Design and Upcycling. 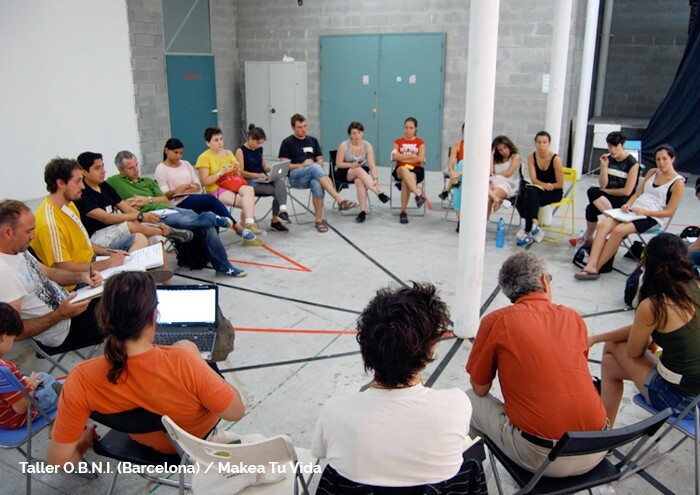 Since the creation of the platform in 2007 until the present day, all work related to the development and upgrading of El-Recetario.net has been carried out voluntarily by the members of the collective Makea Tu Vida, as well as collaborators and developers who have helped us along the way and brought their knowledge and support to the table. 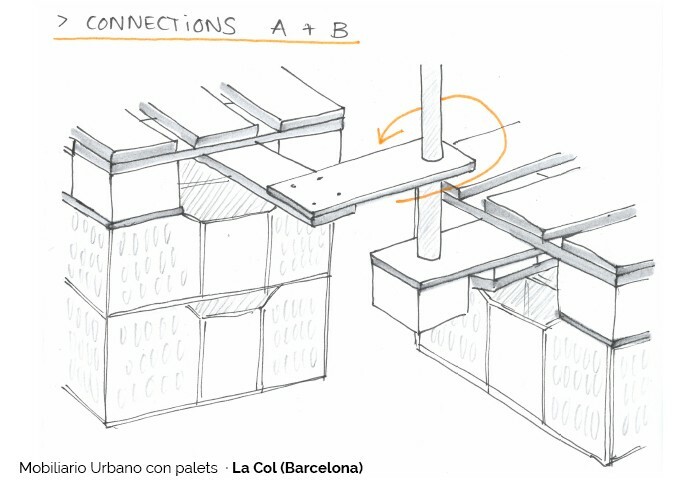 Open heritage: Facilitate access, learning and use of construction techniques. Sustainability: Raise awareness about resources, objects and the spaces we inhabit. Learning: Break the chain between producer and consumer through open and collaborative learning. Cooperation: Promote synergy between the creative, production and educational sectors as well as with the community. 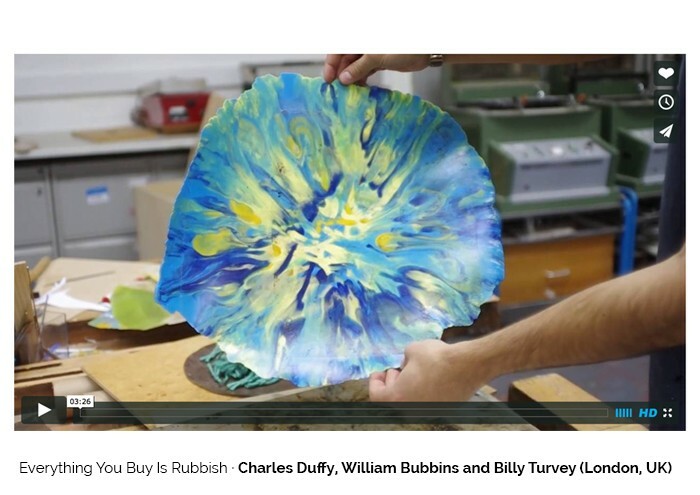 Circular economy: Create a sustainable economic model within a wide-ranging network of designers and producers. 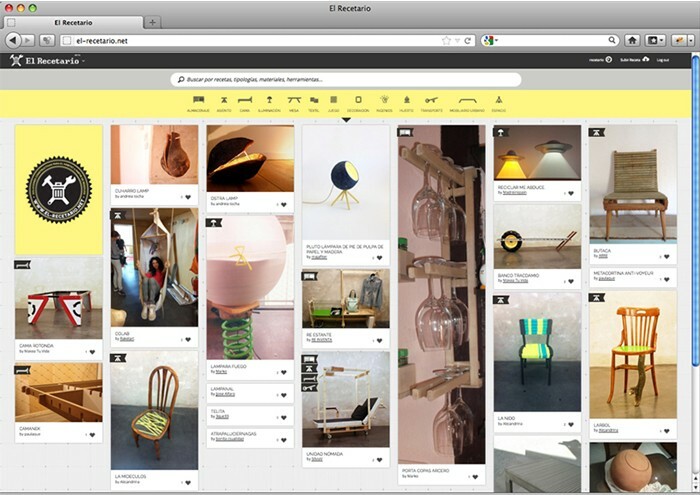 El-Recetario.net is a collaborative platform centered on the investigation, experimentation and exploitation of discarded objects for the construction of furniture and accessories for the home, where a creative community of users share what they do and how they do it, learning from each other and collaborating together. In our society's current climate of uniformity, where consumption and production are standardized and en masse, knowledge of traditional craft techniques and the ability to make something with our own two hands are being lost. By documenting, digitalizing and preserving these techniques through the El-Recetario.net platform and by applying them to new processes and objects, we hope, in some way, to help conserve them. Creativity and craftsmanship are part of our immaterial cultural heritage and have played a crucial role in the collective intelligence. The platform is free to use and open to all. The content of El-Recetario.net is open for anyone to use, adapt, remix or modify. Users are encouraged to contribute to the growth of the platform by sharing and redistributing its content. Users can choose between the different types of Creative Commons licenses with which to share their recipes. The recipe's intellectual property belongs to the author. Other users may elaborate the recipes as long as the conditions established in the chosen license are adhered to. The platform is open to everyone. It is not designed only for people with specialized knowledge or qualifications; different levels of difficulty are specified for each recipe and range from easy to the more technical. Our objective is to for El-Recetario.net to become a more efficient and easier to use tool; an attractive, high-quality platform whose contents can be easily used and shared and which functions as a self-managed channel of communication and exchange of knowledge between its users. Our aim is for the platform to establish itself as a reference for production and learning within the field of open design and recycling. This campaign is aimed at all those with ambition for change and those who share our concern for the environment and want to play an active role in the construction of our habitat. 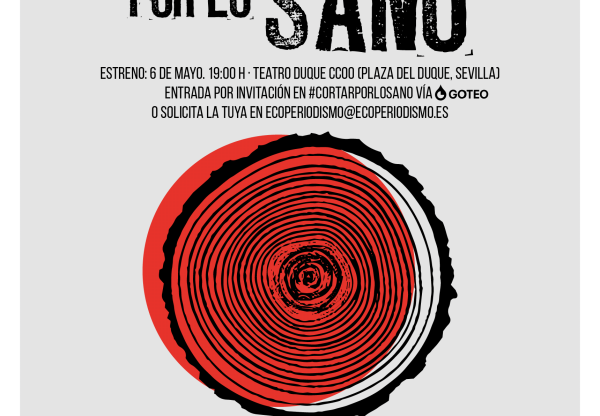 To those who are passionate about recycling and the collective construction of our environment: designers, makers, architects and lovers of DIY and self-assembly. 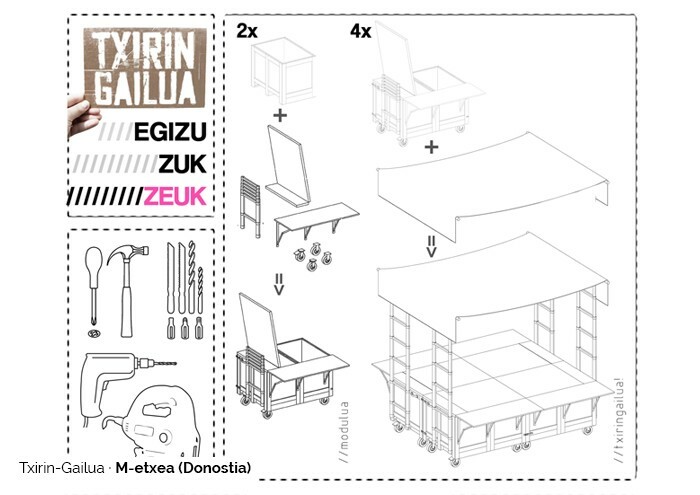 To collective projects, institutions and educational, cultural or technological centers. And finally, to all those who have participated in the various activities and workshops we've been involved in and with whom we share the belief that the documentation and sharing of our experiences is necessary so that others may learn from them. Open access: Facilitate access, learning and use of construction techniques. The Goteo campaign is structured in two phases. If we reach our minimum target, the proceeds will go towards updating database management, developing new user profiles which allow communication between users and the community, perfecting the public interface and the user operator panel, reorganizing content, incorporating new filters, categories and tags to facilitate browsing and searches, as well as a tool enabling users to evaluate the platform's content. If we reach our optimum target, we will continue to develop the tool by adding extra functions, such as the opportunity for users to interchange/buy online, a geo-localization tool to identify designers and producers in the area and the implementation of a multi-lingual platform which will allow us to overcome language barriers and start to interact with individuals and communities all over the world. You can find more details about our goals at: goteo.org/project/el-recetario-net/needs. With the launch of this crowdfunding campaign we will start a series of actions directed to define this new version 4.0 of the platform. Since the creation of the platform in 2007 until the present day, all work related to the development and upgrading of El-Recetario.net has been carried out voluntarily by the members of the collective Makea Tu Vida, as well as collaborators and developers who have helped us along the way and brought their knowledge and support to the table. 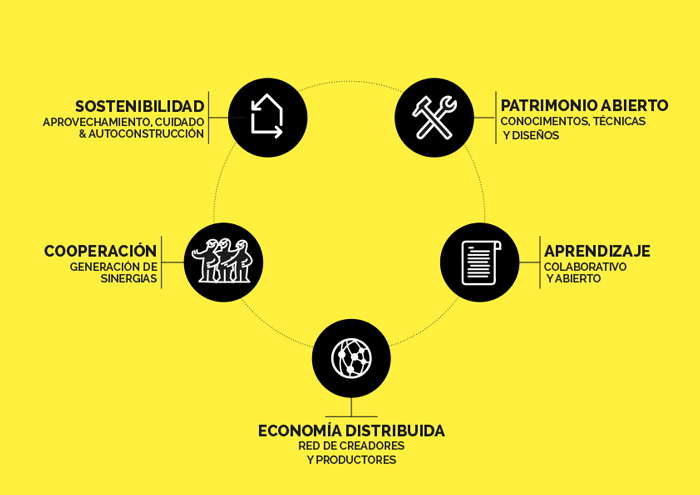 El-Recetario.net currently has a community of 677 members and 454 recipes and is a national and international reference for Open Design and Recycling relative to constructive solutions for our habitat. 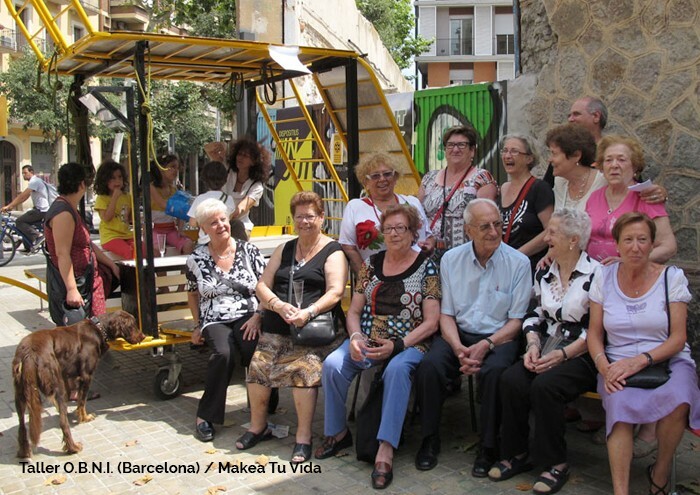 Makea Tu Vida was founded in 2008 as a not-for-profit, cultural association by a group of people who actively participate in open design and recycling projects related to the collective construction of our habitat. Despite all being independent professionals in these fields, we consider ourselves eternal apprentices in this fascinating world of self-assembly, recycling and open source. Every day we learn something new thanks to the willingness of those we work with to interchange and share knowledge and ideas. Over the years we have been lucky enough to carry out various activities related to open design and recycling: conferences and talks, giving workshops in cultural and educational centers, communication campaigns, strategy development, organizing meetings and exhibitions, etc. The new version of El-Recetario.net will still be free, opened to everybody to visit, consult and reuse its contents. El-Recetario.net is a platform based in Wordpress, a free program with license GPLv2 developed and supported by its active community. We will document the way of integrating Wordpress's used plugins together with the contributions to the original code. The whole documentation will remain available in the platform itself. All the recipes and techniques included in El-Recetario.net for constructing upcycled objects, spaces and systems are under Creative Commons licenses. We need collaborators who want to improve the recipes, (from drawing blueprints, graphs and drawings, to writing texts or making videos).